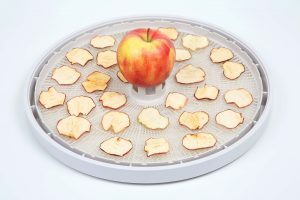 In this review, we will take a quick look at the features of this dehydrator and give you a verdict, so you won’t have to judge the entire case yourself. The Samson Silent Dehydrator features a push button digital timer with 30-minute intervals. It comes with an LCD screen control panel and has 400 Watts of power to the fans and heaters. It promises even heat and airflow for quick and efficient drying. It has temperature increase and decrease buttons and has eight different temperature settings to select. It comes with a handy preparation chart for over forty food items. It also has six plastic trays that are dishwasher safe (no scrubbing!) But let’s also take a look at how well these features do. We will give you a quick overview of the pros and cons of the Samson Silent Dehydrator and our verdict. The Samson Silent Dehydrator is a well-designed horizontal type of unit. This means it has a fan at the back for good airflow. It has very convenient digital controls and works well for fruit like peaches and plums but also for smaller items like berries. It dries efficiently and keeps the heat inside so it is very effective for its size. It is true to its name and runs very quietly so it is well suited to apartment living so your neighbors can’t complain (or demand snacks). It comes with nice large trays that can fit in most dishwashers, so it is easy to keep clean. On top of all of this, it is reasonably priced so you can save some money on the machine, by creating your own snacks and keeping waste to a minimum. However, we won’t keep the negatives from you either. This is a large unit, and it takes up quite a bit of counter space. It has a vent on top, but you cannot open it. The timer has a beep alarm to tell you when it is done, but it keeps going for about 20 seconds and is very loud (so perhaps you will wake the neighbors). It has a plastic case, and it does not feel very durable. If you like something a bit more robust this can be an issue. 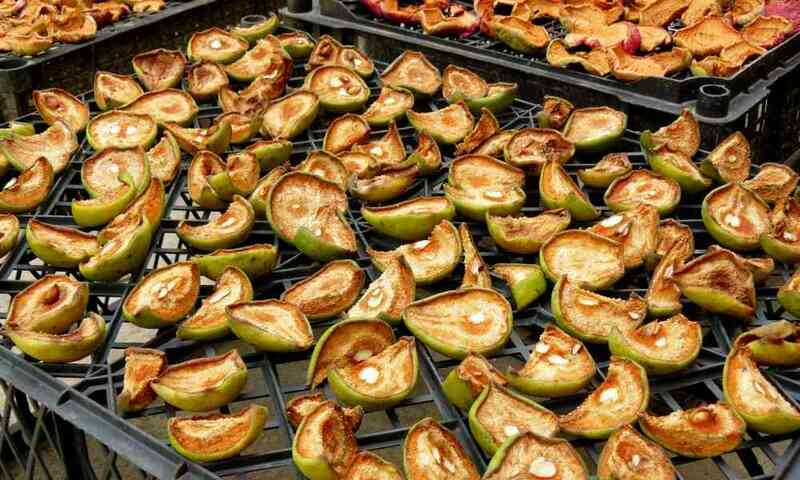 These are most of the annoyances with this dehydrator, so let’s move on to the verdict. offers excellent value for money. For a food dehydrator in this price range, it has a good and relatively compact design and is quiet (just like it promises). Even though it has a compact design, it can take up a large amount of counter space, so you will need to plan around it. It has a range of digital features that make it easy to use and set up for automatic use. It can handle a lot of items at the same time and is efficient without losing heat. 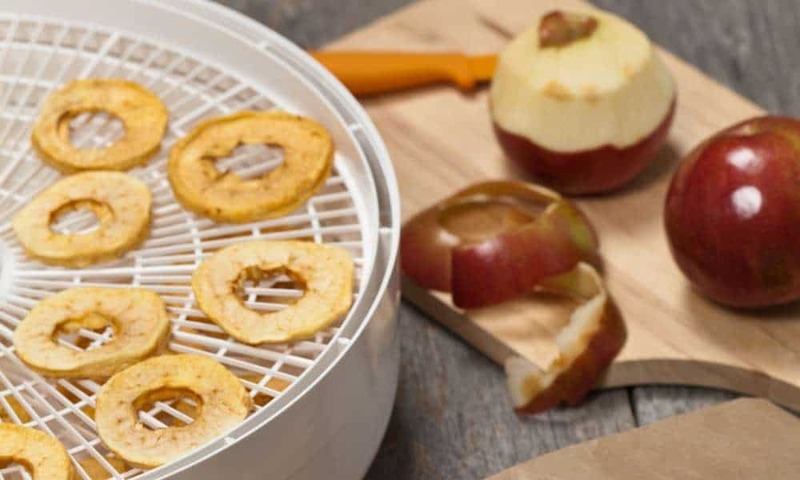 If you are looking for a food dehydrator that will silently help you create snacks, in an apartment or your family house, this Samson should be on top of your list, especially when you look at its price.